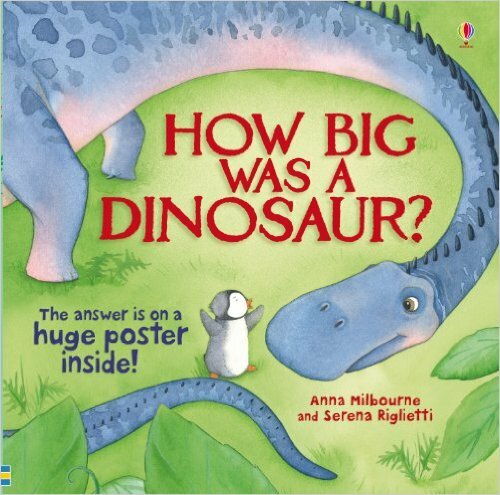 HOW BIG WAS A DINOSAUR? 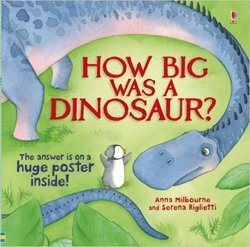 A magical picture book following Pipkin, the little penguin with big ideas, as he travels back through time to find out How Big was a Dinosaur? The latest of Pipkin the penguin's charming adventures, following on from the heart-warming titles 'How Big is a Million? ', 'How High is the Sky?' and 'How Deep is the Sea?' Comes with a giant fold-out poster showing all the dinosaurs Pipkin meets, including the great big one at the end. Drawn to scale next to sweet, little Pipkin, it's sure to wow young children. Gorgeously illustrated by Serena Riglietti.